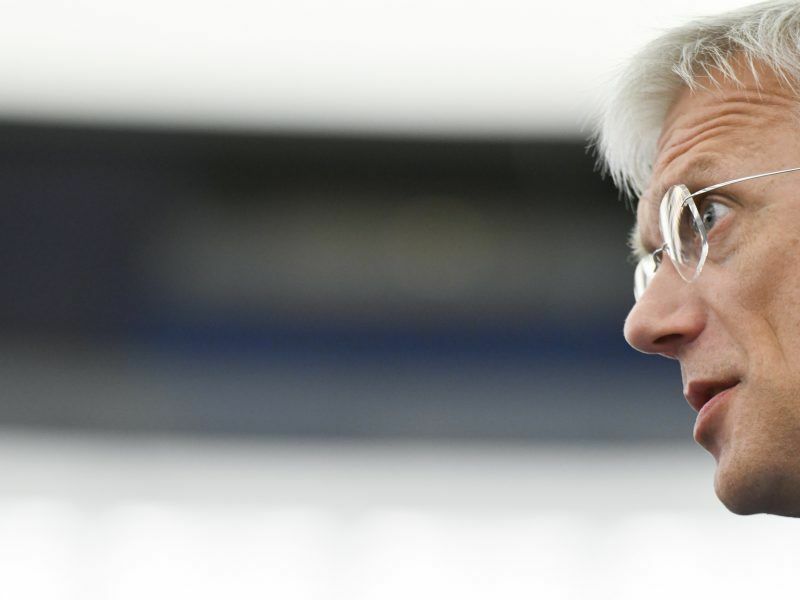 Unregulated electricity prices – and equal access to the grid for both large and small producers – are the only way to ensure a higher share of renewables in the long run, says Latvian MEP Krišjānis Kariņš. Krišjānis Kariņš has been a Member of the European Parliament for Latvia since 2009. Born in the US to a Latvian-American family, he served as Minister of Economy in 2004–2006. 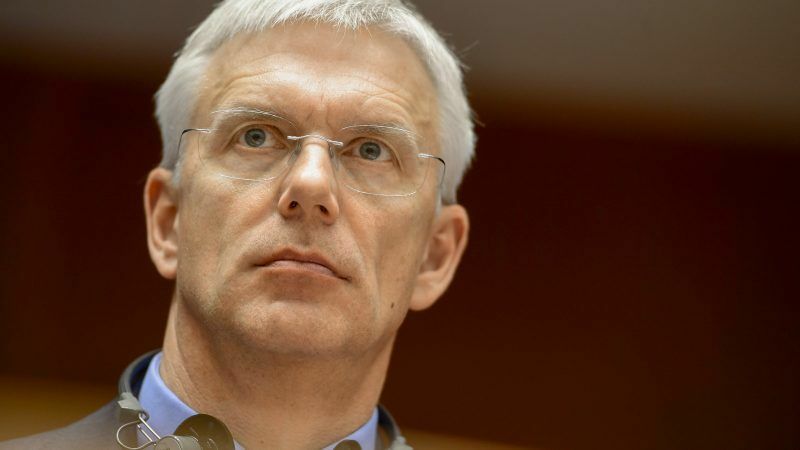 Kariņš is the Parliament’s rapporteur for both the Directive and the Regulation on electricity market design. He spoke to EURACTIV Slovakia’s Pavol Szalai on 5 March 2018. Trialogue talks have started on the electricity market design proposals, for which you are the European Parliament rapporteur. What is the timeframe? Let’s be precise. I have a mandate from the European Parliament. I have offered the Bulgarian Presidency of the EU Council to begin whenever they are ready. They have not yet confirmed a first meeting. Do you feel this is a priority for the Bulgarian Presidency? I don’t want to speculate what is and what is not their priority, but their hands are quite full right now. Four energy files are moving forward: buildings, efficiency, renewables and governance. Then there are the other four files of the Clean Energy Package: electricity market design directive and regulation and the legislation on Agency for the Cooperation of Energy Regulators (ACER) and risk assessment. On those, I am still waiting to hear from the Bulgarian Presidency. Will the trialogue on market design be closed in 2018? The role of small-scale electricity producers has been the subject of a big debate. 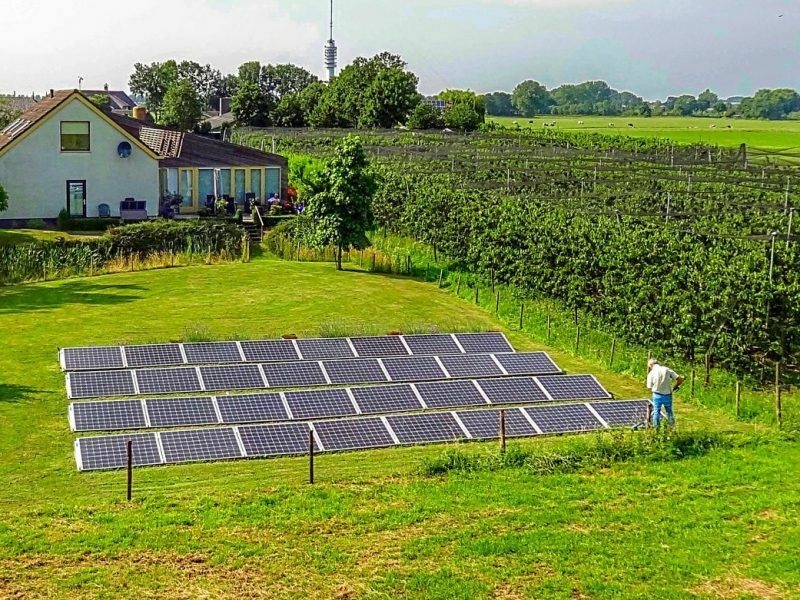 SolarPower Europe said you put the bar lower than the Commission and the Council by exposing them to the same responsibilities as big energy utilities. Should small-scale producers be treated the same way as the big ones? Generally speaking, there are as many views on the legislation as there are organisations. It is the same with member states. It is an extremely contentious issue, because it affects so much and so many. I personally think that in the future of electricity production and trade, a free market can provide the best results at the fastest pace and at the lowest possible cost for consumers. To those who want to increase the share of renewables, I say: of course, let the market do it, roll back subsidies. The issue you are raising has to do with priority dispatch. The question is: Who can get to the grid? In a well-functioning market, you don’t need priority for anyone, because the access is merit-based. Renewables have the lowest marginal cost of electricity production. When the wind is blowing, any wind farm will be cheaper than a fossil power plant. Should they be treated as equal market players? Yes, in my personal view, you don’t need priority dispatch in a well-functioning market. The Parliament’s position is a little different. It grants priority dispatch to small-scale operators, basically roof-top assets. I see this at best as a temporary measure. Look at the Nord Pool market. The Scandinavians don’t need priority dispatch for renewables. And the market functions. They are very, very green, among the greenest in Europe. Do you consider that small-scale producers have the same ability to manage their market position than the big ones? No, of course not. But think of the dairy industry. You have a small producer with 50 cows. They produce a certain amount of milk in a certain time. The producer has two choices. One is to produce the milk and then go the market look for the buyer, maybe try to package it. But most small producers in Europe find a way to cooperate with other small producers and create effectively a large company. It is the same in electricity market. Small-scale producers don’t need special protection, although the Parliament wants to give them some special protection. The way to go is to work with others, which the legislation calls an ‘aggregator’. You could say that an aggregator is nothing else than a good-old-fashioned farming cooperative pooling assets and resources in order to get a better market share and leverage. In terms of efficiency of markets, bigger often is better, when it comes to getting in and out, and getting the right price. The Parliament carves out an exception for roof-top installations. But in my opinion, even they don’t need an exception, because through an aggregator they can also work very efficiently on the market. The world is not fair. But we need fair access rules. And the best access rules are equal to all. If legislation in the market encourages individualism, the market will build in inefficiencies. Are you referring to economies of scale? Yes. It really comes down to lobby groups looking for ways to ensure their investment is 100% sure. Imagine a shoe producer, who has guarantees they sell all the shoes that they produce. Who would support such an idea? But, somehow, we have been for years used to the idea that there are certain energy producers who – regardless of the weather and circumstances – sell at a good price anything they produce. That implies a risk-free investment. There should not be any risk-free investments. I understand you are a free-market proponent. So what about regulated prices, which are seen as a market distortion? In its general approach in December, the EU Council defended regulated prices. Do you see an opportunity for a compromise there? There is always an opportunity for a compromise. My personal opinion is not the view I will necessarily defend in the trialogue – I will very strongly defend the text voted by the Parliament. Regarding regulated prices, again, there are different Member States with different circumstances. Some have regulated prices, some don’t. The markets with unregulated prices have – on the whole – a much more competitive and better prices for consumers than regulated markets. Markets are regulated, because they have some deficiencies: an incumbent, barriers to trade and investments. For various reasons, governments want to keep markets regulated. They argue they want to keep consumers happy. But if you step back from the national circumstance and accept Europe’s goal to increase its share of renewables and move away from fossils and energy imports – primarily from North Africa, the Middle East Russia, which are all difficult regions – the only way is through unregulated prices. Regulation means no competition. Why should I change my service provider, if I pay the same price? As a result, there is no other service provider. Should this apply to vulnerable consumers as well? I will get into that in a second. In a market of choice, you cannot have regulated prices. You need free market prices, so that you have a reason to invest, for aggregators to come in, for storage facilities to offer their services, combine rooftop with a storage facility and basically use the grid 10% of the time instead of 50%. You have many business models coming up, which benefit consumers. That’s how markets work and must work. If you regulate prices, it means there is no market. Coming from Latvia, formerly under a Soviet system, we have plenty of experience with non-functioning regulated markets. The second issue is what to do with vulnerable and poor consumers. The notion of energy poverty is peculiar. Energy-poor people are also clothes-poor, rent-poor, travel-poor, coiffeur-poor. They are just poor. They have to get help elsewhere. Each Member State has a system of social security to help people. Don’t subsidise the price of bread or energy, subsidise the people, so they can buy bread or energy. If you want bread to be innovative and tasty, have a choice, don’t regulate its price. The European Commission hopes that its Energy Union strategy will make the EU’s energy supply more secure, affordable and climate-friendly. But the energy market is highly fragmented, and focused on national interests. Is this the position you will defend in the trialogue? This is not quite the position of the Parliament. We voted compromises and secondary amendments. The Electricity Market Design Directive and Regulation set the direction, at best. If we work to get rid of regulated prices, they will not disappear overnight. It’s incorrect to deregulate without the proper infrastructure and investments in place. I certainly hope that for the sake of European consumers and the environment, we move towards unregulated prices and free market and think about how to support individuals to afford electricity. Right now, we are stifling innovation by regulating prices. In those parts of the market in Europe where prices are regulated, there is no incentive to change things around. Why do you need a smart meter, where you can choose a tariff – daytime or night-time? You have no incentive to save. You are not motivated for efficiency measures or to change your supplier, because it makes no difference. Suppliers are not motivated to come to a new market. To unleash the potential that technology, innovation and green energy has to offer you need an unregulated market. That said, we do have to address the problem of poor people. But don’t regulate the price, regulate the consumer. Or remove VAT for vulnerable consumers, which will reduce the price by one fifth. That is a hell of an advantage, which can be easily administrated at state level. What is the Parliament’s position? The Parliament voted a 10-year phase-out for regulated prices. I don’t know how it will come out of the trialogue. My main goal is to find a solution. I happen to come from Latvia, which is in the Nord Pool system. Prices are not the highest in Europe, they are on the low side. Production is very diversified and well balanced. It works, because we have high connectivity relative to population levels. All conditions are in place, including our mentality of liking markets. It doesn’t mean it will work everywhere, but it is the direction both the Directive and the Regulation point to, as proposed by the Commission. This doesn’t mean Nord Pool is the model. It is not. There are always ways to improve it. 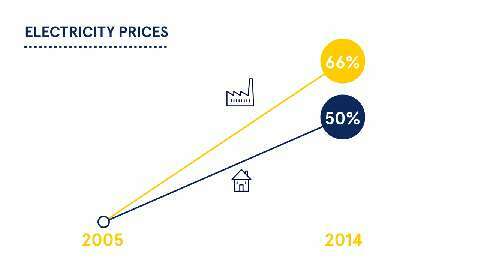 But generally speaking, Nord Pool shows free markets in electricity can work. A seamless pan-European energy market is still a long way off, but decisive steps can be taken now with stronger regional cooperation and the introduction of cross-border bidding zones for electricity, policymakers and industry experts argue. The European Commission’s proposed limit for capacity mechanisms at 550g of CO2 per kWh basically excludes coal power from subsidies – which is a big issue for Poland. Should operators of gas power installations be concerned as well? No. If we were to adopt legislation ruling out coal and gas, then the only alternative would be nuclear. It’s not about me liking or not nuclear energy. But the people against coal are also against nuclear. The nuclear lobby is against coal. Yes, but the Greens, who are against coal are equally against nuclear. It won’t work that way. So, for you, this boils down to a choice between coal or nuclear? My personal opinion is that if you read the Regulation and leave your ideological position aside, the article covering restriction on emission performance standards is completely out of place. Emission performance standards should be dealt with by the EU Emissions Trading System. Look at it this way: A pure market regulation introduces an emission performance standard. I believe this is out of place. Now politically speaking, in the European Parliament, we have left this basically unchanged compared to the Commission’s proposal. Our text essentially says that if you subsidise energy, you may not subsidise very polluting energy. Broadly speaking, I agree. But I would go one step further and say: You shouldn’t subsidise any energy, whether polluting or not polluting. Do you consider natural gas polluting? Of course. That’s physics. Gas and coal produce CO2, nuclear energy does not. From a CO2 global-warming perspective, nuclear is not a problem. Is nuclear safe or desirable? That’s not even the issue, because for many people nuclear is a problem. Will the 550g limit stay in the legislation? There will be a limit. But it is difficult to imagine what it will be. Both the Council and Parliament imposed a limit for emissions performance standard. How it is set is still open to question. Are you in favour of opening European markets to balancing, flexibility and system services? In Spain or Italy, for example, these markets are quite restricted. Again, markets are restricted in various countries for various reasons. Spain has a hell of a challenge, because of lack of market interconnectivity with France across the Pyrenees and the Bay of Biscay. There are physical and political reasons. 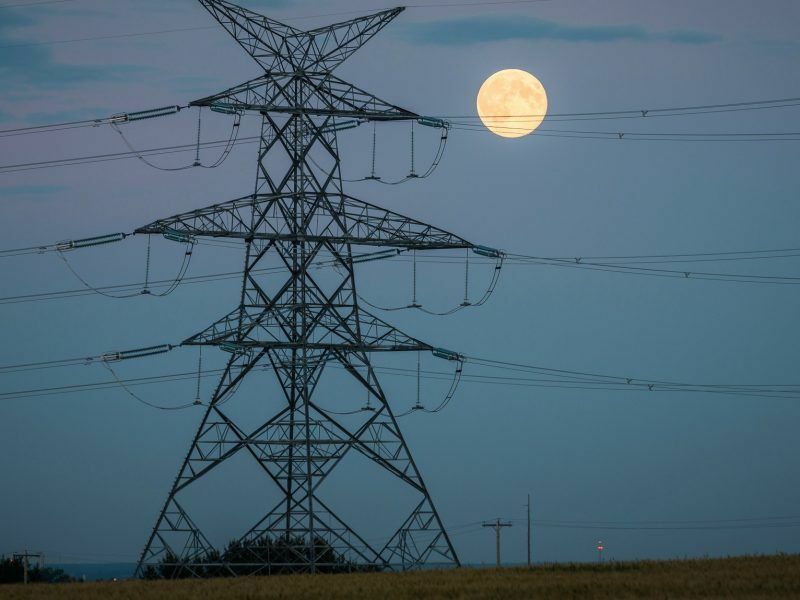 For the European electricity market to work, you need two things: physical connections and a regulatory environment opening those connections to trade rather than closing them. In some instances, we have connections, but they are not always working for trade. And in other cases such as Germany, there are loopholes produced because of the lack of north-south interconnections. And the electrons follow the laws of physics and the path of the least resistance, which is Poland, the Czech Republic, Austria and going back to Southern Germany or Switzerland. You have laws of physics, politics and economics, which in many cases don’t overlap. But balancing has one aspect that many people don’t fully appreciate. Markets in electricity can function very well – three years ahead, one year ahead, one month ahead, one day ahead, one hour ahead, even 15 minutes ahead. But balancing needs to be reserved. It is like buying futures. For any system operator, anything unexpected can happen on a Tuesday afternoon: a part of the grid falls out, there is a sudden dramatic change of demand, the weather is 10 degrees colder or warmer than expected, a wind or a storm comes over. There may be a need to cut production, but there may be a need to increase production at short notice. The balancing market has to do with maintaining grid stability and 50 Hertz in your socket. Regardless of ideological conviction, an engineer has to make sure that lights always work when we turn them on. The balancing market has to be open to competition. But it will never work as a 15-minute-ahead market. Auction is something a trader does. Balancing is something an engineer does. The engineer has to be able to turn on or off at any given moment. It will never be like trading canned beans. The electricity market differs from other markets in that supply and demand have to meet perfectly at every given second. That makes it tricky. The Parliament’s position is to open the balancing market to competition as much as possible. But it’s like opening futures contracts to competition. I heard much the same from Karins when he was talking at the Energy Post meet the other week. Let me restate: “To those who want to increase the share of renewables, I say: of course, lets put a price on carbon that is realistic – not the small silly numbers that is the EU ETS right now”. Karin’s uses the politicians tactic of comparing apples with nuts: “Look at the Nord Pool market. The Scandinavians don’t need priority dispatch for renewables” – that’s true because the vast majority of their RES is utility-scale, owned by utilities who fold the RES into their generation portfolio and dispatch accordingly. Does Mr Karins actually understand how utilities dispatch? because his comments suggest otherwise. Which in turn calls into question the competence of somebody in charge of an important dossier. & by the way Mr Karin’s – respect is earned – you don’t have mine – yet. Where I do agree with him (odd but true) is on the importance of aggregators with respect to small-scale RES. The problem is that member states and the idiots in the Commission want to pass that role to DNOs aka the electrical mafia. I also agree with him on regulated prices – a useful mechanism if you want to keep markets closed (such as happens in EdF-land aka France). Wrapping up: here is a suggestion to Karins: don’t defend the indefensible: Spain & poor interconnectors to France, hmmm why is that? 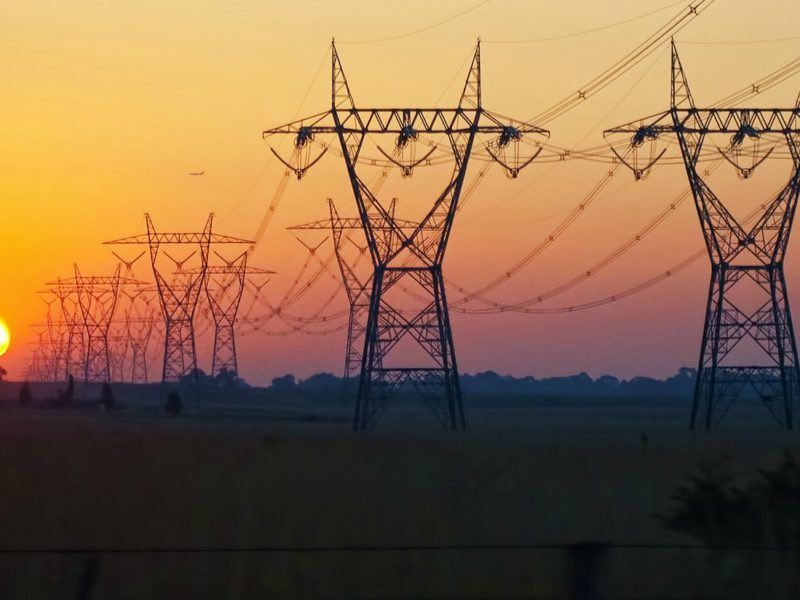 Why did RTE & RED hose Euro700 million at an HVDC interconnectors – when they could have built a 400kV double circuit line alongside a motorway for 1/10th of the price? Hint – they are remunerated on their asset base. As for the “laws of physics” and loop flows – oh please – phase shifters? simple, easy and cuts the nonsense of Germany using Poland as a rat-run for its electricity.